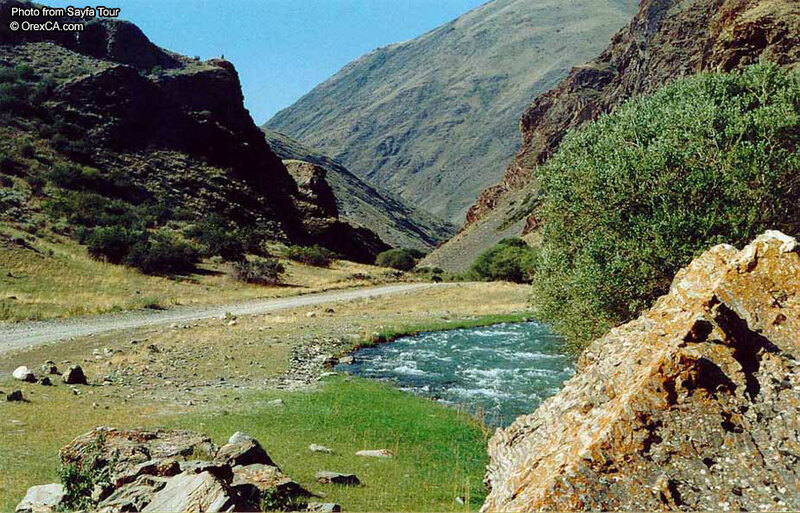 Description: This gorge is found in 80 km to southeast from Bishkek. 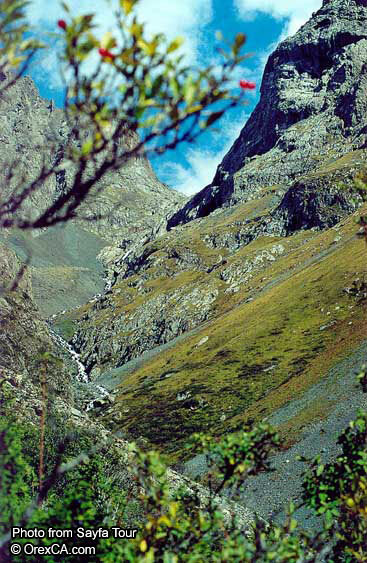 In medium of the gorge, in thirtieth years of 20th c., was built resort Issyk-Ata. It differs not only favorable climatic condition, but also splendid natural resource. Here is found the pool with thermal mineral water, the temperature of the water 42 degrees. The Sources were known with ancient times, about than witnesses the graven scene on Budd-doctor. Local older tell the legend about wonder-working curative power of the local sources and about girl, which, bathing in the source in the morning and at night, before most deaths remained young and beautiful. Trekking part begins from resort. The Half an hour of the way you beside of the beautiful waterfall, height 15 meters. On way to waterfall opening nice landscape, type on rock top by Botvey tops (4150 m). Level of difficulty: This tour is recommended for people with hiking experience. Conditions: It is necessary to bring a warm clothes and trekking boots.